80” x 44” wood veneer boards,accommodate approximately 1190 - 2” x 8” x 3/8” clear Plexiglas nameplates. An automated US patented LED is to the left of each name behind a wood bar. 14 stained glass panels and illuminated and 10 wood carving panles non-illuminated. 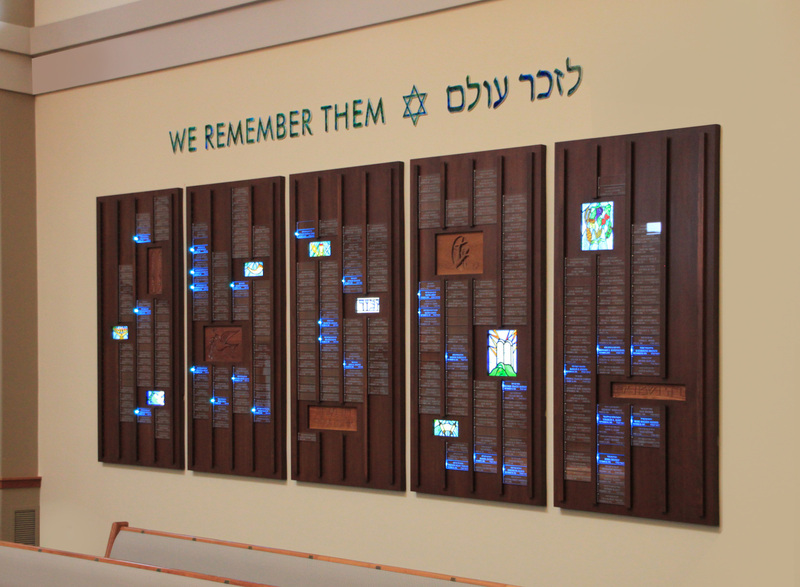 Individual 7” fused glass letters, In Memoriam in English and Hebrew and a Jewish Star title each wall.